Path of Exile is free-to-play, making money off players buying cosmetic items or in-game bonuses like extra character slots. Path of Exile takes its inspiration from the classic action-RPG Diablo II. 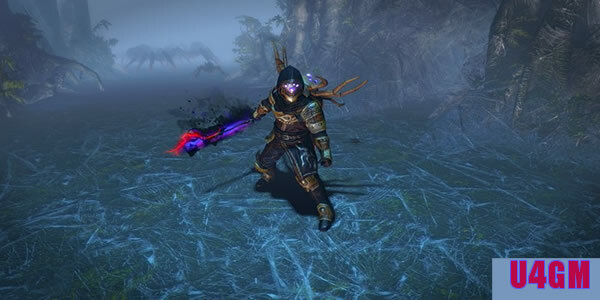 The free-to-play game launched for PC in 2013, but it has steadily increased its player base by consistently releasing content updates every three months. Until now, Path of Exile has over 13 million players. If you want to know more about the game, have a look at U4GM and view website now. Playing this game is about relearning the fundamentals of MMORPGs, and here are a few things you should remember. In Path of Exile, you acquire skills through gems. Skill gems can be obtained in multiple ways which include loot dropped from slain enemies, purchased from sellers, and quest rewards. Quests – Quests can also give skills for rewards. There is usually a small selection where the player gets to choose the gem that they want. Vendors – At some vendors, you have the opportunity to purchase skills. Be sure to check all the NPCs at the various towns, as certain ones will have a better selection. Loot – Players have a chance to obtain skill gems from slain creatures. The gems are differentiated from other loot by their color. Skill gems will show up in a blue-green color. While you can use many support gems, each must be different. Using two of the same kind will not added 2x the effect. Each skill in the toolbar will have every support link indicated by a letter. This is an easy way to identify if your links are set up like you want. Gems will level up even when you are not using them, If you think you might use one in the future, keep it in a socket and it will continue to gain levels. Support Gems can stack on top of each other! As long as you have links between all the gems, you can use many support gems to keep enhancing a skill. Don't like the number of sockets, use a jeweler’s orb to change them. Need a different link setup? Using an orb of fusing will change the links. Colors don't suit you? A chromatic orb will change them. Be aware! This is totally random and you can use a healthy amount of orbs trying to get the setup you want. Be sure to know the latest update and news about the Path of Exile, I recommend the best website to you: https://www.u4gm.com/path-of-exile. There are a wealth of tips and guides for the game, and cheap items and currency at hot sale.